With more than 1.4 million older people feeling cut off from society, how can you help combat loneliness? Loneliness is something all of us feel at some point in our lives, often more than once. For many of us, this feeling only lasts a moment. But for others, this feeling is constant. It’s painfully heartbreaking, how many people are suffering and the number continues to grow. According to Age UK, more than one million older people report feeling cut off from society, while nearly four million older people agree that the television is their main form of company. 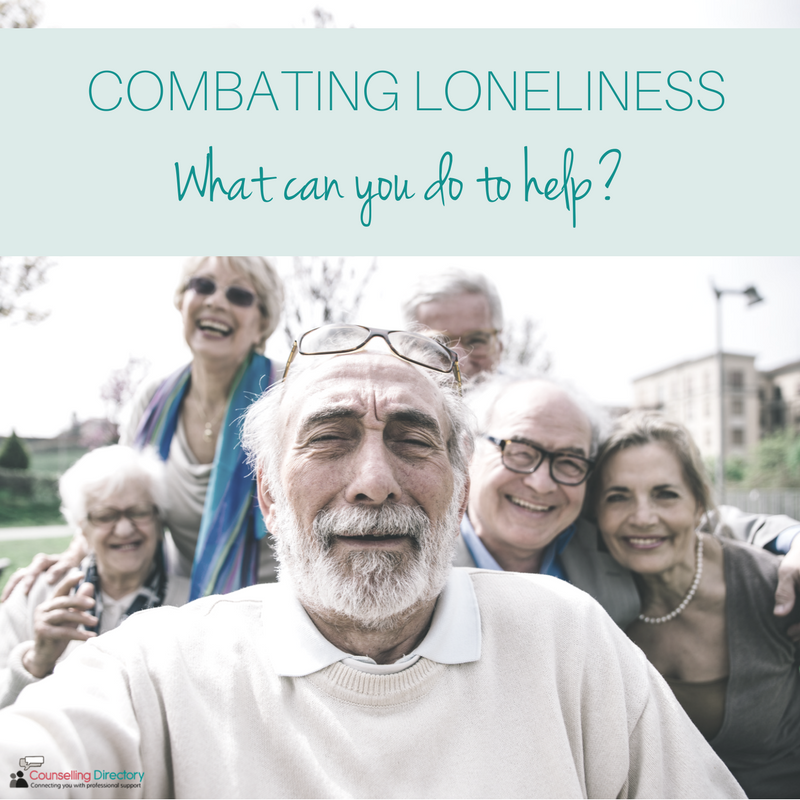 Loneliness may not be a mental illness, but chronic loneliness can have a detrimental effect on a person’s health and well-being. Loneliness is linked with feelings of depression and sleeping problems. In fact, more recently it was said that the effects of loneliness and isolation can be as harmful to the body as smoking 15 cigarettes a day. Now, anyone can feel lonely. Whatever age, wherever in the world, we can all feel lonely at times. But in the UK, there are over 900,000 people aged 65 or over, who say they feel lonely all, or most of the time. During the Christmas period, this can be even more painful. So, what can you do to help those who have no one? Wanting to help make a change, but not knowing where to start is common and so, we’ve put together this infographic to get you started. Every little helps. If you’re not in a place to offer your time through volunteering or befriending services, have conversations with those around you – the people in the supermarkets, the man in the queue behind you, the lady who lives next door. 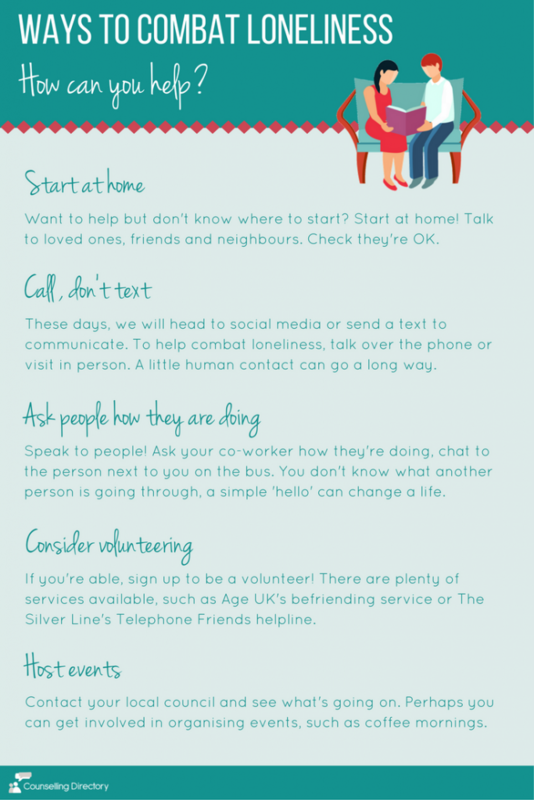 Picking up the phone takes no time at all – call your nan or your neighbour, see if they would like to come over for a coffee. You might be the only person they speak to all week.